By the time children reach the ‘tween’ stage they’re searching for their own style and looking to claim their room as their own. That gorgeous nursery you once designed for them may not be exactly right anymore. Don’t feel discouraged or overwhelmed because the tween and teen stage is an exciting opportunity to decorate your kids’ rooms in something that meets their needs now and one that will last through the teenage years. These versatile upholstered beds and upholstered headboards from Young America are the perfect starting point for beginning your teen bedroom. Available in two designs and four colors, these beds coordinate perfectly with any nightstands, dressers, chests, and desks. 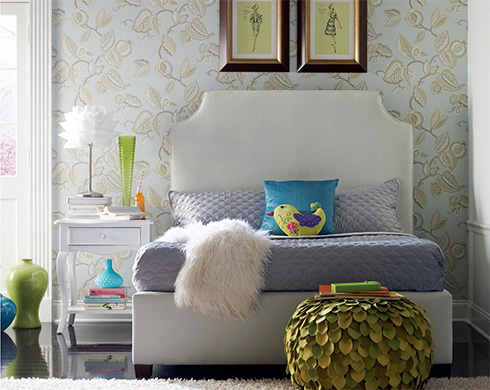 Tip: Choosing a neutral hue for your bed and the majority of your furniture allows the room to grow with your style. Now, she may want pink with butterfly accents…but in three years she may prefer a neutral room with a fancy chandelier. Classic furniture will never be out of style and paint colors, bedding, and accessories are easily updated along the way. Incorporate current trends with ease around these beautiful pieces from Young America like chevron painted walls, bold colors like lavender and coral, and unique accessories. Another new trend in teen rooms is fun seating for all those friends! Whether you’re entertaining sleepovers or study groups, tween rooms need additional seating that’s functional and fun. 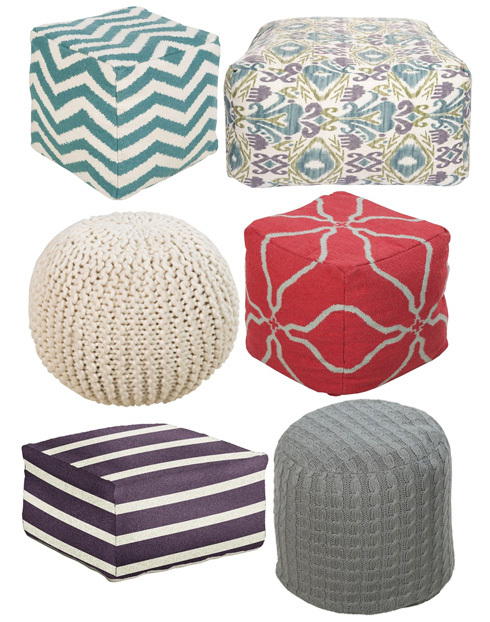 So, pick a pouf: the perfect option for easy seating. Available in fun shapes like cubes or round ottomans, we’re seeing lots of geometric patterns and bold hues for style choices. Pull these out for a gathering of friends and easily stack them out of the way when you need more space! Mix and match your favorites or stock up on the perfect match for your room. Take advantage of the opportunity to wrangle all of those piles that seem to be everywhere in most teens' rooms. With Young America Dana Storage Pieces you can create your own custom configuration in your choice of finish color to create the ideal storage area for your tween. Incorporate some baskets and bins in fresh colors for a functional space that's also fun to look at! Not only are these storage units a necessity for all the things teens and tweens accumulate, but these are also the perfect opportunity to express their style. Decorate open shelves with accessories that showcase their style, their hobbies, or their achievements! To browse more ideas and inspiration for tween and teen bedrooms, visit Belfort Furniture's Kids Showroom - Building #2 in our Dulles, Virginia Furniture Campus. We have a complete selection of baby furniture, kids bedroom furniture, youth furniture, and tween and teen furniture on display to view as well as finish samples for special orders - the possibilities are endless!